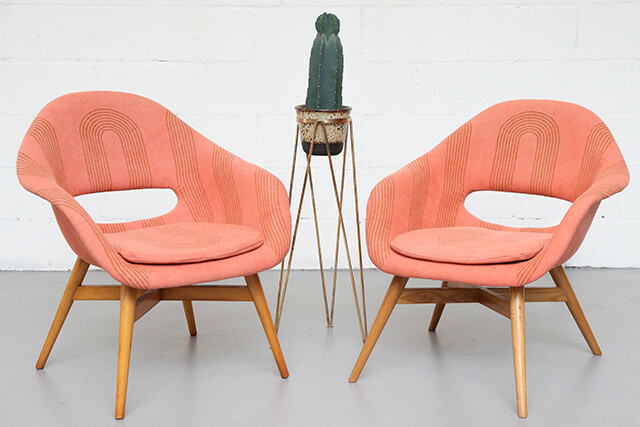 When mid-century classics meet beautiful fabrics. Get ready to fall in love. One of our favorite design studios Block Shop Textiles just collaborated with Amsterdam Modern and created an amazing collection that we just need in our homes. 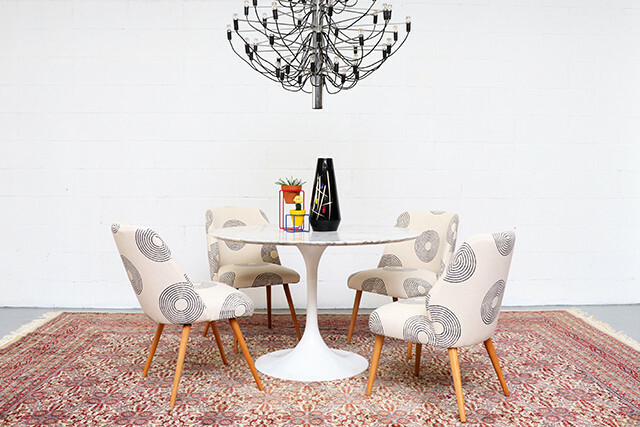 The line takes classic mid-century furniture shapes and gives them a remix that feels fresh, fun, and ready to populate just about any interior. 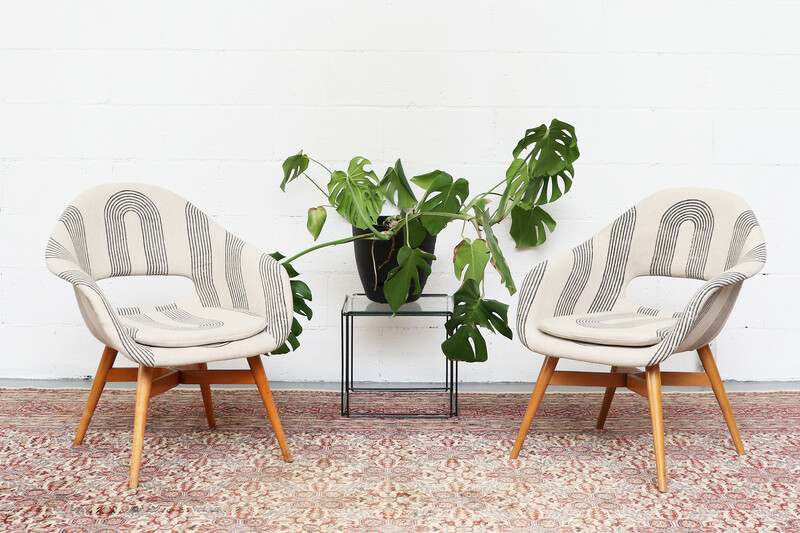 Founders Hopie and Lily Stockman worked with Ellen LeComte of Amsterdam Modern to reupholster seats with the unique designs that Block Shop Textiles is known for — and the results are pretty spectacular. From dining sets to daybeds to bucket chairs, each piece comes in fabric that was hand-block printed by artisans in India. The cool geometric designs help give new life to these classic shapes created by some of the most iconic mid-century designers. Want to get your hands on these seats? The collection is now available online and at the Amsterdam Modern showroom in Los Angeles.